References relating to honor can be found repeatedly in the primary sources as well as in contemporary writing. There is a consistent flaw presented within most modern texts: they all discuss honor as defined by the author, or describe what honor meant to a specific culture during a certain time period. This may be fine for academic analysis of cultures, but can make understanding the concept difficult. A Heathen cannot adopt a definition of honor from a book, the nine noble virtues, or any other third party source. A Heathen also can’t make it up by themselves. It is widely agreed that morality, for a Heathen, is situational as it relates to their inner-yard. So too is the definition of honor. Honor is respect that is derived from a confidence in a Heathen’s ability and desire to act in protection, enhancement, and support of frith. As such, it is the inner-yard that defines what an honorable act is and the inner-yard who assigns honor to a person. In other words, honor can only be assigned to a person by those they share frith with. A Heathen can grant honor to another within the inner-yard, but cannot grant honor to themselves, nor can they directly grant honor to someone in the outer-yard. For example: Farout Hearth, consisting of an extended Heathen family, lives in a rural area and is currently going through rough times. During a trip to town for groceries, they come upon someone pan-handling for money. The wife reaches into her coin purse and gives some change to the man, but her husband and mother-in-law glare at her. It was obviously not an honorable act in their eyes and the wife feels ashamed. Farout Hearth is struggling. They are having trouble paying for the necessities in life and are literally eating beans and rice in order to keep a roof over their head. They have absolutely no money to spare. So while this sort of generosity is encouraged by many cultural and religious bodies, it was not acceptable for Farout Hearth. It was dishonorable as it could cause them more hardship. The definition of ‘what is honorable’ will evolve or shift over time. It is inevitable as it is a product of time and circumstance. Marriages are a prime example of why these evolutions can be expected. The new spouse brings with them a collection of experiences and values that, when expressed, act to modify viewpoints within the inner-yard. These changes will likely be subtle but can compound over time. When navigating the vast ocean, a course deviation of one degree is almost unrecognizable, but by the time you cross the ocean you will be a great distance from your intended destination. 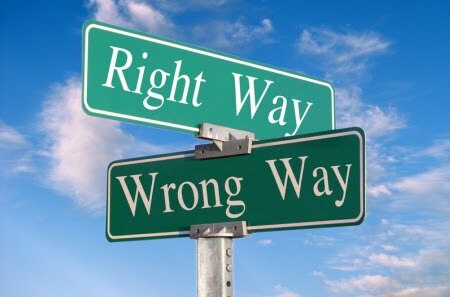 Honor’s companion is ‘right good will.’ Right good will is your personal moral compass which develops through an active understanding of your tribe’s sense of honor. Right good will develops as a part of your worldview and, for most, is nearly subconscious. To act with right good will, is to *attempt* to act honorably. It is an honest desire to act in congruence with the inner-yard’s honor-code. However, as honor evolves the Heathen’s sense of right good will must change as well. A Heathen must strive to keep in alignment with honor for it acts to protect and deepen the bonds of frith. To continue our earlier example, after Farout Hearth returns home they talk openly about the pan-handling incident. It is discovered that, in the wifes’ family, she grew up with an understanding that it was considered honorable to give in such a way, especially if it was your last coin. The remainder of Farout Hearth will likely respect that she was acting in right good will and shame her less for the incident. However, it is incumbent upon the wife to modify her sense of right good will to better align with this new understanding of her hearth’s honor. A Heathen must act in right good will and in accordance with honor. These concepts further strengthen frith, and to do so is to be of great worth to your inner. If your life is dedicated to improving your inner you will certainly be spoken of with the highest of respect, and the frith and luck of your tribe is bound to flourish because of it. A Heathen’s path to immortality is through honor because, to borrow the phrase, we are our deeds.